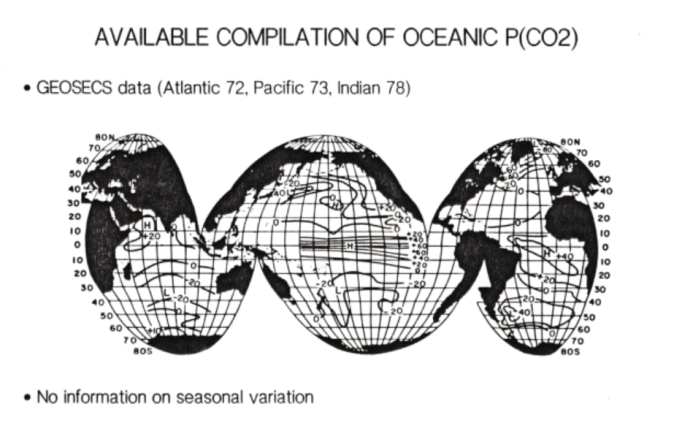 This is a presentation given by Exxon Research and Engineering Company’s Brian P. Flannery, who became one of Exxon’s primary climate researchers after joining the company in 1980. His initial research for Exxon on the relationship between CO2 and climate change confirmed the results that other scientists were finding at the time, predicting that doubling atmospheric CO2 levels would lead to a 3 degree increase in the global average temperature. However, over the next decade of Flannery’s employment at Exxon, his research deviated from these initial findings and he went on to become a spokesman for Exxon in blocking international efforts to reduce greenhouse gas emissions from fossil fuel use. Flannery also became a manager at Exxon and was a lead author of the third IPCC Working Group from 1998-2004. This particular presentation begins with findings made in partnership with the Lamont-Doherty Earth Observatory of Columbia University, which was a partner in Exxon’s tanker project (which cost more than $1 million) monitoring seasonal variation in pCO2 (the partial pressure of oceanic carbon dioxide). Flannery presents information on CO2 circulation models and seasonal variation in oceanic CO2 but argues that “consensus view CO2 warming not yet confirmed by observation.” His slides on oceanic CO2 levels emphasize the potential of the world’s oceans to act as a carbon sink, and their ability to “delay CO2 warming,” stating that the capacity of oceanic thermal buffering could be “much greater than found in previous studies.” In spite of this buffering potential, Flannery’s conclusions include a prediction of 2-5 degree warming by 2100. Throughout the presentation, Flannery states the “need for more understanding” and need for the development of new observational research techniques about oceanic CO2 concentrations. However, in the few years leading up to Flannery’s presentation, Exxon had been severely cutting the budget for the Greenhouse Project from $900,000 in 1982 to $385,000 (an immediate reduction following a memo from the Exxon Science and Technology Department), and to just $150,000 the following year.